What’s new at Ken’s Artisan Pizza? 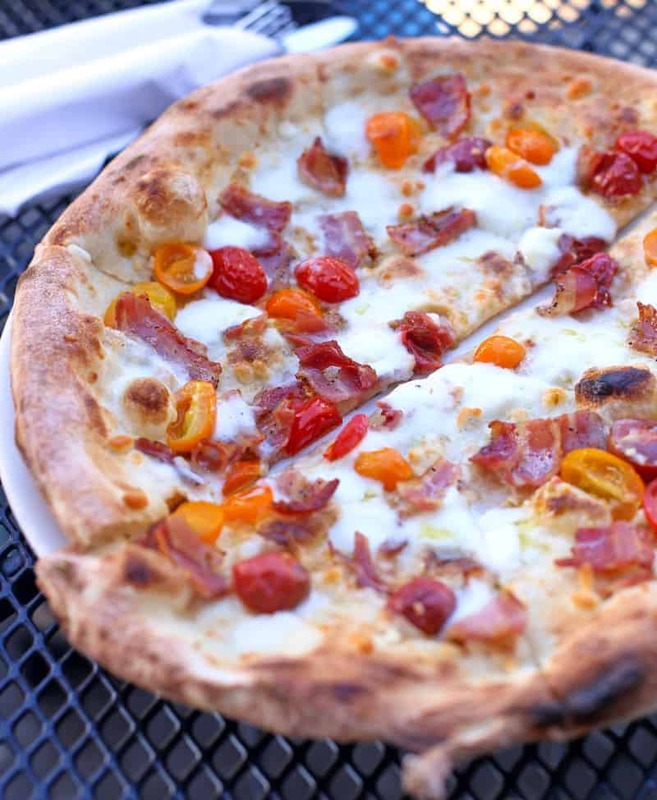 Ken — a name that has become synonymous with some of the best pizza (and bread!) 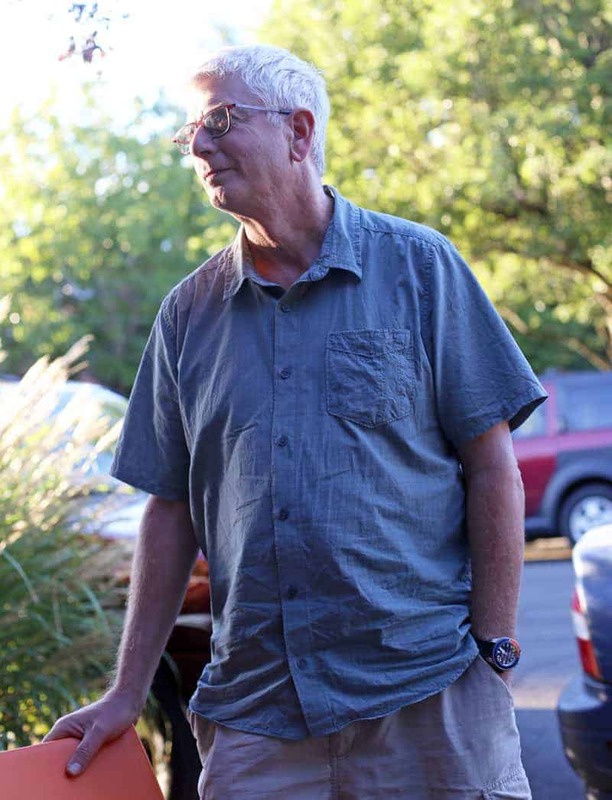 in Portland – has some exciting new additions to his well-known restaurant, which is now in its tenth year. 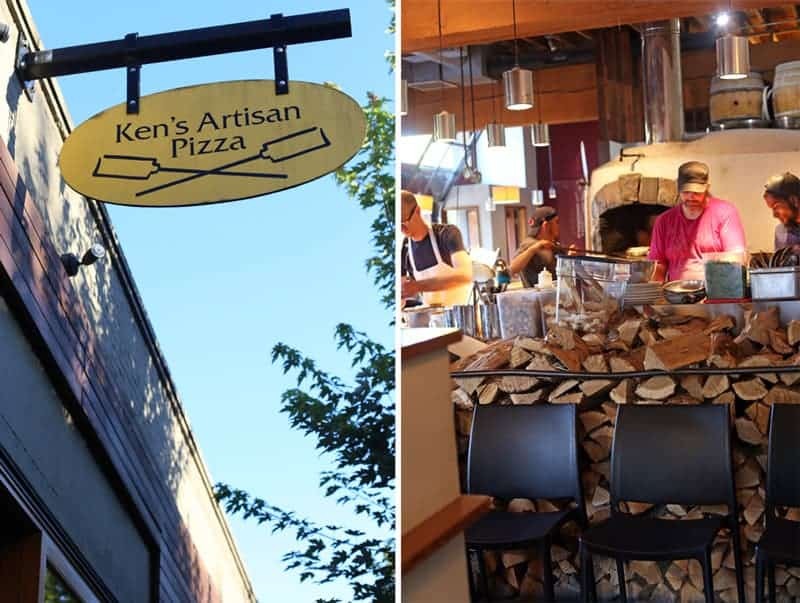 Shortly after I moved to Portland Ken’s Artisan Pizza quickly became our favorite pizza joint. Fast forward ten years, owner Ken Forkish is now an award-winning author with two additional restaurants (Trifecta Tavern and Bakery and Trifecta Annex located inside Pine Street Market), in addition to Ken’s Artisan Bakery (and Pizza). The menu at Ken’s Artisan Pizza has remained pretty much the same since opening day. Until now. Up until this summer the restaurant was limited to wine (with some pretty darn good selections at that) and beer. No booze. But this summer Forkish put Colin Carroll, who heads the beverage program at Trifecta, in charge of creating a small but appropriate list of Italian inspired cocktails for Ken’s. It may be a small list, but it’s big in flavor! 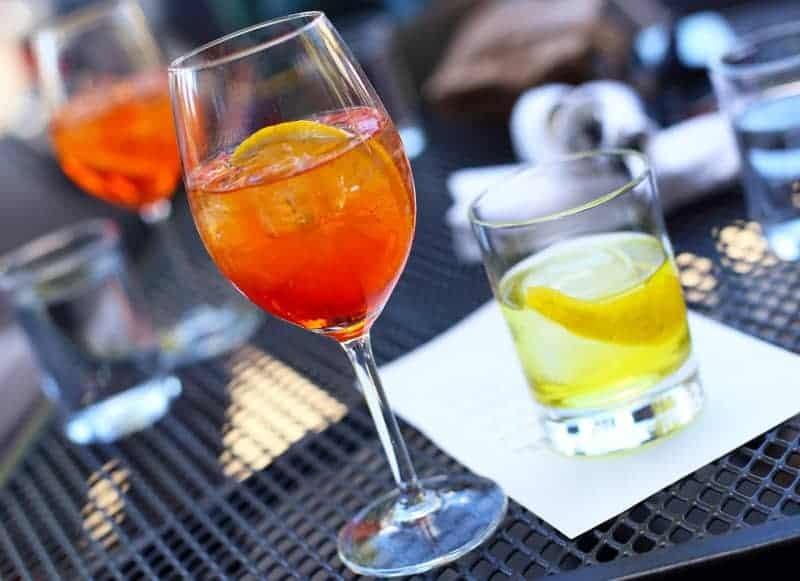 There are currently six cocktails on the menu, three of them are different takes on the Negroni: a classic, a White Negroni (made with local Aria Gin, Suze Bitter, Dolin Blanc, and lemon skin), and a Negroni Sbagliato (made with Meletti 1870 bitter, Cinzano Sweet, Sparkling Wine, and an orange peel). 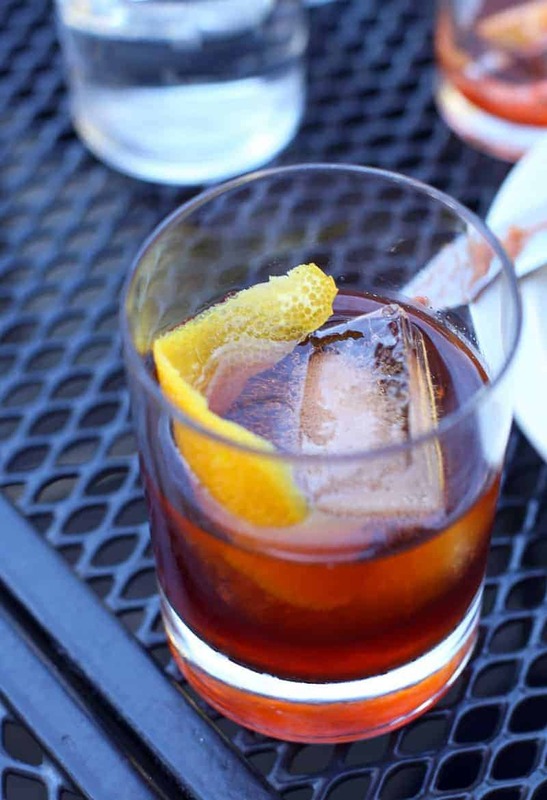 The Negroni Sbagliato is a great choice for a warm day sitting on the patio (can we please have a few more of those before the rain starts???). 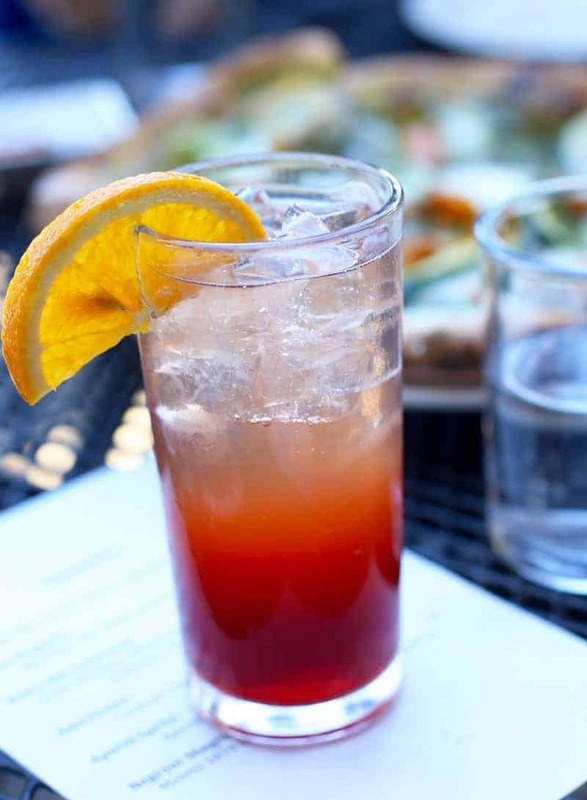 On the cocktail menu you’ll also find a classic Aperol Spritz, an Americano (made with Carpano Antica, soda water, and orange slice) and a Ken’s Old Fashioned (perfect to end your meal with). Most of these (with the exception of the year-round Old Fashioned) were created for summer/fall, and will be changing to fit the colder, gloomy Portland winter soon. Don’t expect a full bar. Currently the selection is limited to these options. They’re all excellent palate cleansers for Ken’s indulgent pizzas. 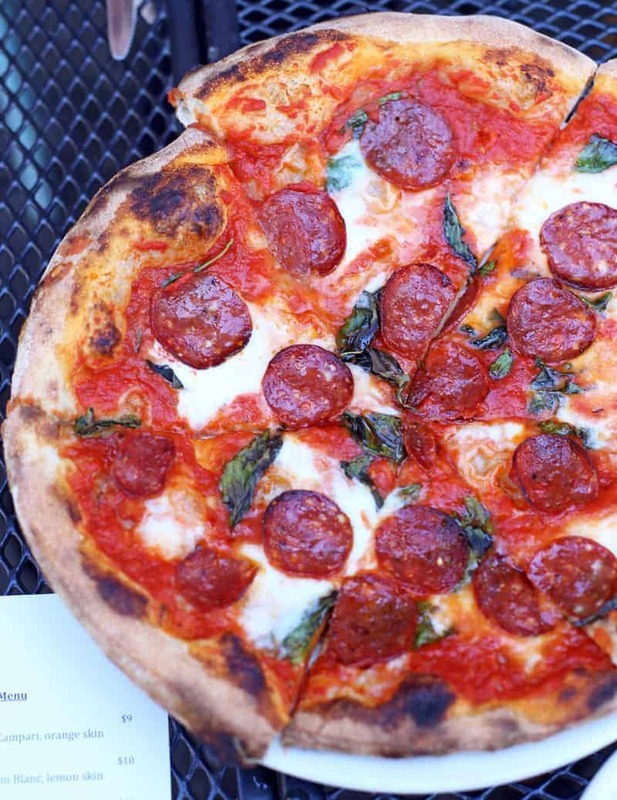 The Beautiful Pig, made with a local pork-beef salami, tomato sauce, basil, and mozzarella. Cherry Tomato Pancetta Bomb, with chopped garlic, mozzarella di bufala, and pecorino romano. 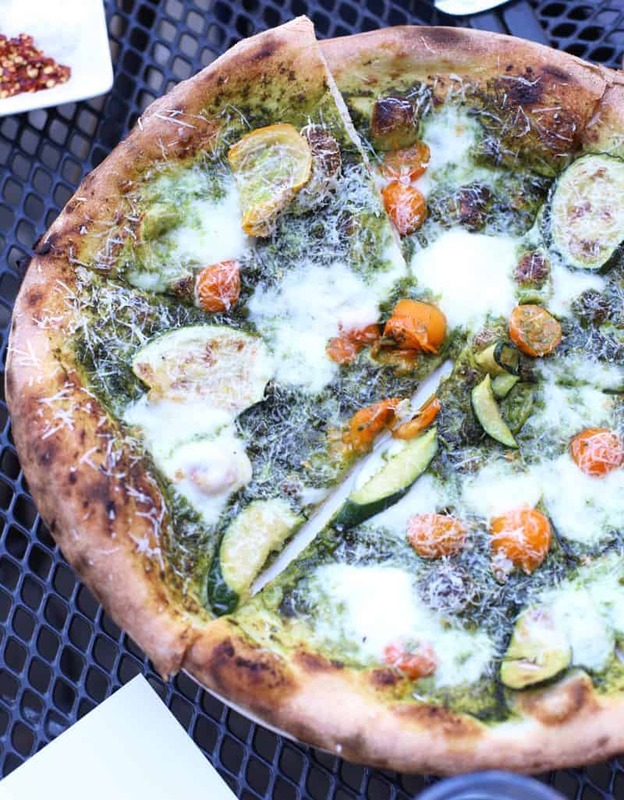 Summer Pesto, topped with hazelnut pesto, zucchini and tomatoes, and mozzarella. 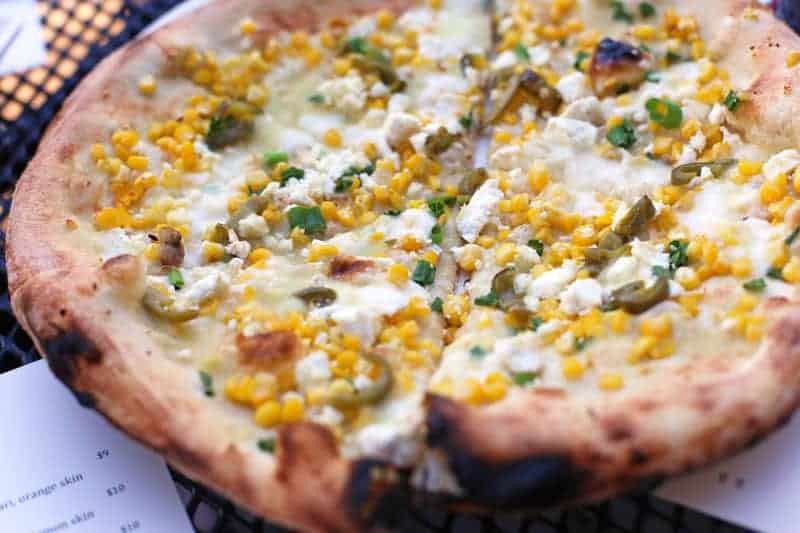 Fresh Corn, an intriguing mix of smoked pickled jalapeños, corn, ricotta salata, and mozzarella. Did you hear me? I said SMOKED pickled jalapeños! A pizza after my own smoked-food-loving heart. But my favorite, and perhaps the most simple, was the Pomodoro Royale (here’s talking to you Pulp Fiction fans!). This one was so simple, yet perfect, made with tomato sauce, basil, evoo, and topped with fresh Pecorino Romano as soon as it comes out of the oven. 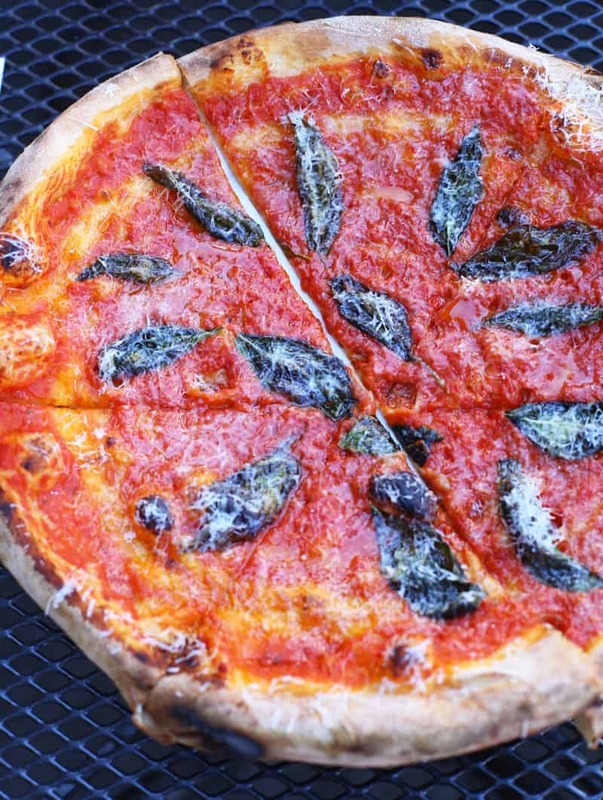 With fresh new cocktails and some interesting new pizzas, now is an awesome time to head back to Ken’s Artisan Pizza. But as always, make sure you go early, those lines still get crazy long! But it’s always worth the wait. Have you been to Ken’s? What’s your favorite pizza? And if you’ve tried any of their cocktails I’d love to hear what your favorite was! No way, the corn pizza is the best, haha! I agree that the cocktails ad a fantastic addition to the classic Ken’s menu and great palate cleansers to better fully enjoy the incredible pizza flavors between pizza bites of multiple types of pizzas! That corn one was pretty darn good (especially those jalopenos! ), but I just loved the simplicity and deliciousness of that pomodoro! I’m such a negroni fan. I’m going to have to try all 3 on the menu! I’m trying the newest restaurant in Vancouver on Monday and I’m really looking forward to it.